Did you know that there are dozens of items that can be purchased one at a time? While this is clearly not the most economical way to buy any custom item, technology advances have made this process easier and more affordable. Why would someone want to buy just one of something. Often we see clients using this type of item to show recognition or appreciation to a staff member, client, referral partner or customer. 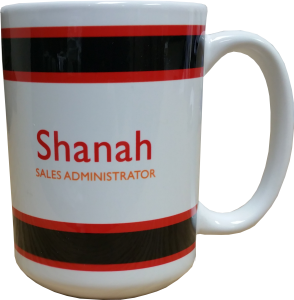 Rather than buying a gift at the store, companies like ours can now provide you with a branded and/or personalized gift option. How are these items decorated? The decorating method of course is going to vary based on the type of product being purchased but there are full color printing options, laser imprinting, and full sublimation processes used most often and in the case of clothing—direct to garment and laser imprinting options. What type of items are offered? There are way too many products offered to list them all but here are some of the popular items we have been doing for clients. Remember, the designs on these are unique for each item, so you can design these with individual’s names and even their company logo on them! So the next time you need something unique for someone, give a call and let’s see what one at a time item will work before for you!